Announcement We want to bring some accessories, T-shirts, and more cool stuffs for 4X4 wheels lovers! 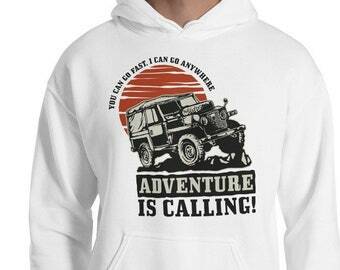 We want to bring some accessories, T-shirts, and more cool stuffs for 4X4 wheels lovers! We have featured and created mods for Spintires since the game release. It have been a great time with our community to share Spintires cool mod maps, vehicles and more mod files. And now in shop.spintires.nl, we want to bring some accessories, T-shirts, and more cool stuffs for 4X4 wheels lovers! We specialize in an exclusive range of gutsy tees that proclaim, at top volume, what it takes to be a true off-roader. Every one of our stand out designs lays bare the intensity, adrenaline and freedom of good, honest mudding. Packed with attitude, our designs are as unique as every off-road addict, every dream rig, and every new 4WD adventure. A hybrid of vintage-inspired flair and modern styles, in a range of bold, straight-talking colors, this is clothing that pulls no punches! All of our rugged designs are printed on high quality cotton t-shirts, so you can be sure that they’re up to the challenges and extremes of life off the road. Even when you’re taking a break from the trail, why not show the rest of the world what they’re missing out on? A leading provider of everyday quality family apparel, including T-Shirts, fleece, sport shirts, underwear, socks, hosiery and shapewear. They are production and fulfilment service company partner.